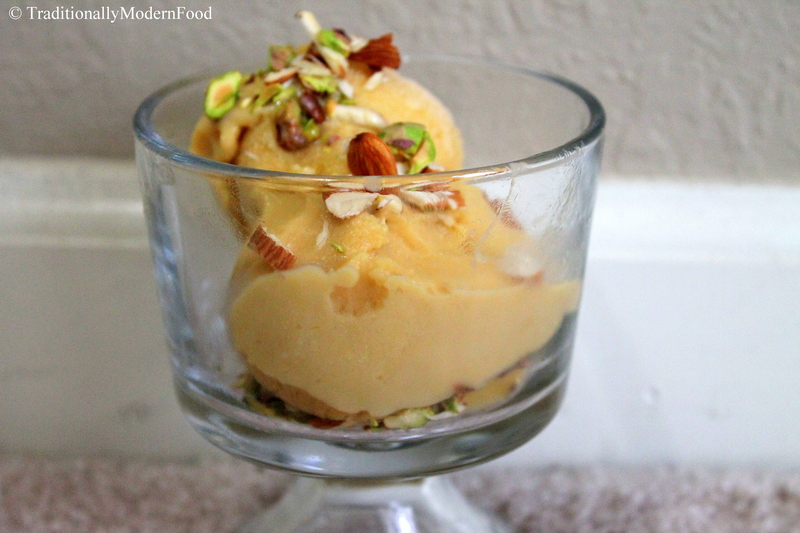 My addiction to mango reflects in my posts 🙂 Guess this is my last Mango Recipe for this season (Hoping so as I don’t have any other mango recipes in my archive). 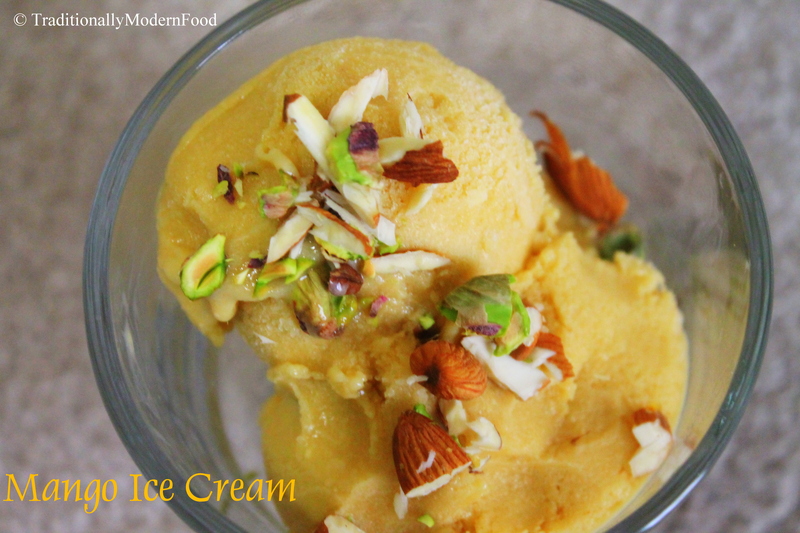 Having tried some recipes with mango, I finally tried ice cream. You certainly are on a mango kick Vidya! And I am on a strawberry kick! You are making mango this and that, and I am making strawberry this and that! Hehehehe. This looks great! You going to bring this to Fiesta Friday? Yes, post this to Fiesta Friday! You don’t have to use herbs…you can post anything to Fiesta Friday! Yay! Will be fun to have you there! wow! delicious! thanks fr sharing! Looks delicious 🙂 with nuts,it looks great ! Happy Fiesta Friday Vidya!! 🙂 Welcome to the party! Woohoo! Thanks:) from ur mango salsa understood u too like mangoes:)u too have a wonderful weekend. Looks AMAZING! Happy Fiesta Friday!! This looks lush. Mango Icecream. Originally posted on traditionally Modern Food. Love Mangos and icecream, perfect combination. Lush. This looks delicious! I would love to try it. And I don’t need an ice cream maker to make it either. Looks yummy, would love to try when our summer arrives in December!